We are dedicatedly engaged in offering a commendable range of Tennis Net. 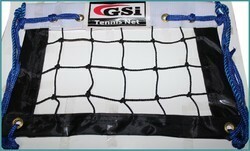 The offered net is widely used in tennis lawn. Making use of premium grade raw material and advanced techniques, the provided net is designed under the strict guidance of skilful professionals at our sound production unit. Our Lawn Tennis Net, have been termed as the best available in the market because of the strong and durable structure they have. 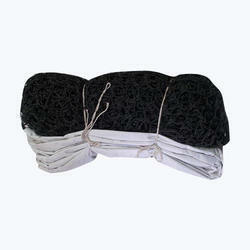 Fabricated using superior quality cotton as well as nylon material, our Net is termed as the best available in the market. - The tennis rebound trainer is an excellent piece of kit that allows you to practise full blooded shots in relatively confined space. It is excellent for building up arm strength and is also very useful for warming up prior to playing.